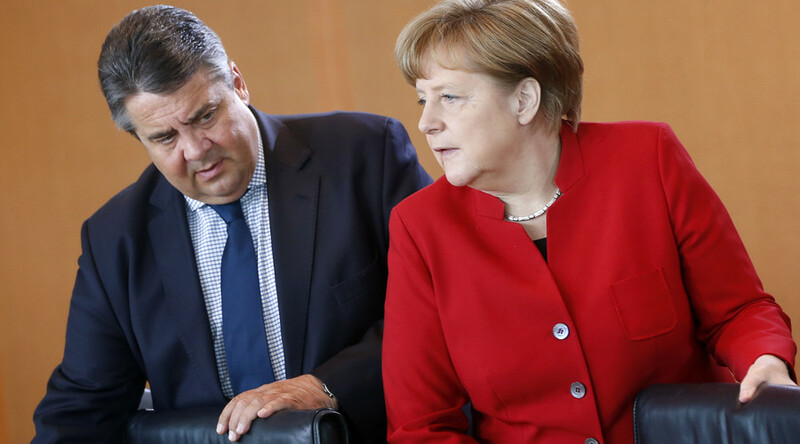 TTIP Hastiness would lead to an unfavorable agreement, German Vice Chancellor and Economy Minister Sigmar Gabriel said, criticizing Chancellor Angela Merkel’s approach to reaching an agreement with the US on harmonizing trade and investment regulations. “It was wrong that, in the euphoria of [President Barack] Obama's visit to Germany, the Chancellor said that we will be able to conclude negotiations under any circumstances by the end of this year – and that she recently repeated that statement,” Gabriel said in an interview to the German regional RND newspaper group, criticizing Merkel’s stance on negotiations concerning the Transatlantic Trade and Investment Partnership (TTIP) between the EU and the US. “The SPD will not to be part of a bad deal," he said. “I will never approve an agreement that retains [the right for the companies to appeal to] nontransparent private commercial courts,” he stated, referring to the issue that the agreement would allow transnational corporations to challenge domestic laws and regulations in special tribunals thus potentially undermining national environmental and labor protections. He also stressed that he would not approve any deal that envisages standards deemed lower than those included in the freshly-negotiated EU-Canada Comprehensive Economic and Trade Agreement, which has already been approved by the Council of the European Union and the European Parliament. According to German media, the vice chancellor cast doubts on whether it was still worth negotiating with the US on the TTIP at all. He said that the forthcoming new round of the TTIP negotiations in June will indicate what the US are really aiming for. Gabriel has been subjected to a pressure of his own party members, as the left wing of the SPD wants him to break off negotiations on TTIP, German media suggest. 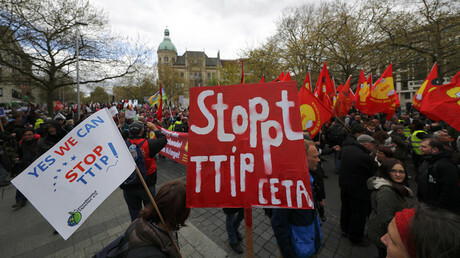 "If the Americans hold fast to this position, we don't need the free trade treaty. 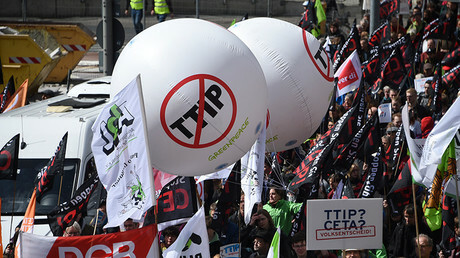 And TTIP will fail," he warned. In the meantime, German Chancellor Angela Merkel actively promotes the deal. She accorded Obama a warm welcome during his visit to Hannover and expressed support for his call to speed up the talks on TTIP to conclude the agreement by the end of the year. During the G7 meeting in Japan, the leaders of the US, Germany, Japan, Britain, Italy, France and Canada once again expressed their support for TTIP calling it "ambitious, comprehensive, high standard and mutually beneficial" agreement. On the other hand there seem to be plenty of critics among ordinary Europeans who frequently take to the streets to express their opinion. Among the latest protests was in Hannover on April 24, ahead of Obama’s arrival, when tens of thousands expressed their concerns. According to a recent survey conducted by the German broadcaster ARD, 70 percent of Germans see more disadvantages than advantages in TTIP while only 17 percent believe the deal will be beneficial for Germany. The ARD survey also shows that 83 percent of Germans are dissatisfied with the secretive way in which the government handled negotiations on the deal. 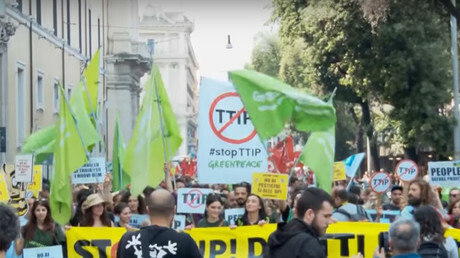 Tens of thousands came out in the capital of Italy to decry the TTIP, arguing that it would push Europe into corporate slavery on May 8. In the meantime, Greenpeace Netherlands published leaked documents that suggest that climate protection, jobs, food safety, and online privacy rights will be whittled away under the deal. The negotiation texts were obtained from an unknown source. The TTIP agreement, which is being negotiated by the US and the EU since 2013, has been controversial from the very beginning. Its proponents claim that it will create the world's largest free-trade zone, promoting rapid economic growth, creating more jobs and helping small businesses by opening up markets. However, many Europeans believe it would rather place corporate interest above nations’ and workers’ interests as well as erode strict European standards for labor and environment protection. 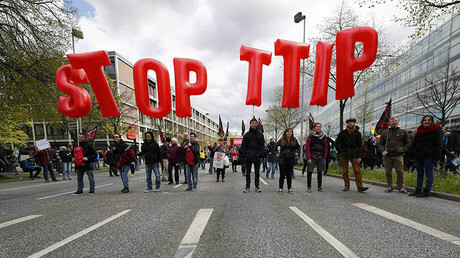 The secrecy surrounding the negotiations on TTIP is another cause of concern for many people.